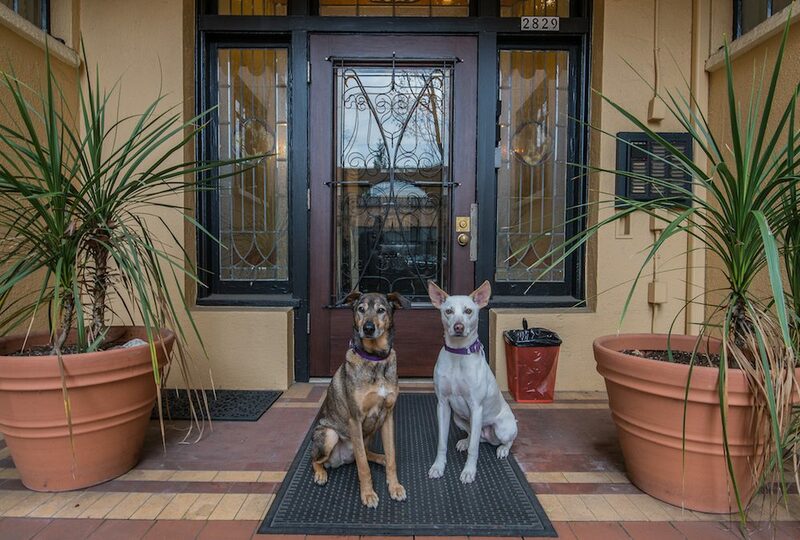 Bring your kitties, bring your doggos, bring your alpacas (probably not) – this sweet ‘n’ charming Mediterranean-style condo welcomes your furry housemates! Bedroom opens up with sliding doors to create an open living area, and hardwood floors throughout warm up the space. Darling vintage touches throughout the kitchen – with lots of cabinet space – and in the bathroom, complete with hex tile floor. In-unit laundry, and a safe gated area for keeping your bike. HOA includes commons, garbage, hot water, general management, exterior maintenance, sewer, and water, freeing you up to spend more time basking in your new condo’s soft, buttery light, or exploring your super cool Portland neighborhood. Belmont Street is a destination spot for shopping, bars, restaurants, McMenamins Bagdad Theater, Laurelhurst Park, and so much more. With a walk score of 92, and bike score of 94, you couldn’t be closer to the action.